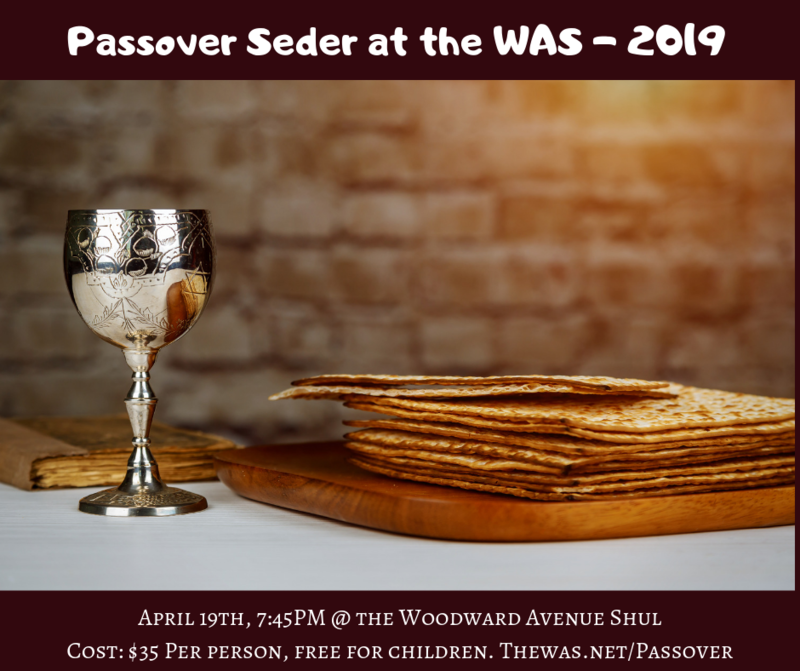 Join us at the WAS for a family style interactive and meaningful Seder. Where: Woodward Avenue Shul, 25595 Woodward Ave. Cost: $36 per person, free for children.